Ace Combat is a long and storied franchise with tons of games dating all the way back to the 90’s. Like most franchises that have been around this long, Ace Combat has seen its fair share of ups and downs. 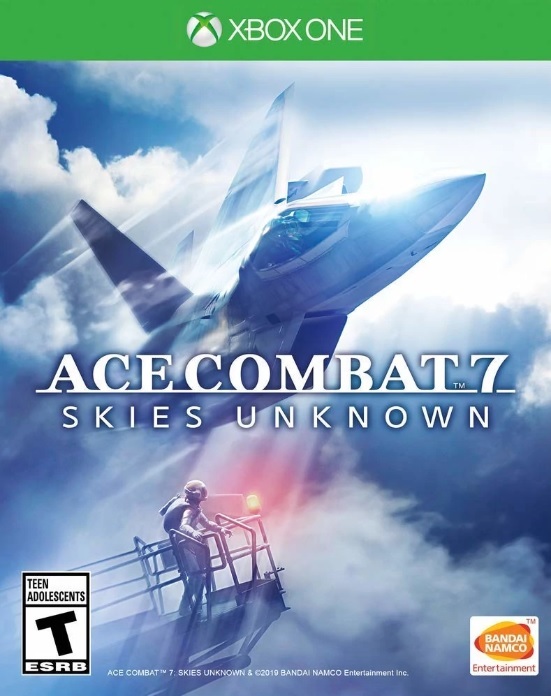 Thankfully the latest entry, Ace Combat 7: Skies Unknown, brings the series back to the soaring heights it is based on. Having marathoned each game in the series that is still playable over the last month it is time to rank each game in the series from worst to best! Note that there are titles missing from the list such as the phone releases, arcade games and now shutdown Ace Combat: Infinity. The Japanese version of Ace Combat 3 is also absent since I have yet to obtain my copy of that game. Ace Combat: Joint Assault is the second game in the franchise released for the Sony PSP. Like its much better predecessor, Ace Combat X: Skies of Deception, controls have a bit of a learning curve thanks to the removal of the L2 and R2 buttons. Once you have the controls down you are treated to the same great flying action the series is know for. Unfortunately, that is about all Ace Combat: Joint Assault has going for it. Bland and boring missions, a ridiculous story involving insurance scamming and loads of annoying instances of fake difficulty really drag down this entry. Oh, it also isn’t set in Strangereal so there is no connection to the series lore. Honestly about the only thing worth checking out in this game was a mission where you have to fly a 747 through a canyon while being shot at by enemies. Ace Combat 3: Electrosphere is considered by many to be one of the best entries in the series. 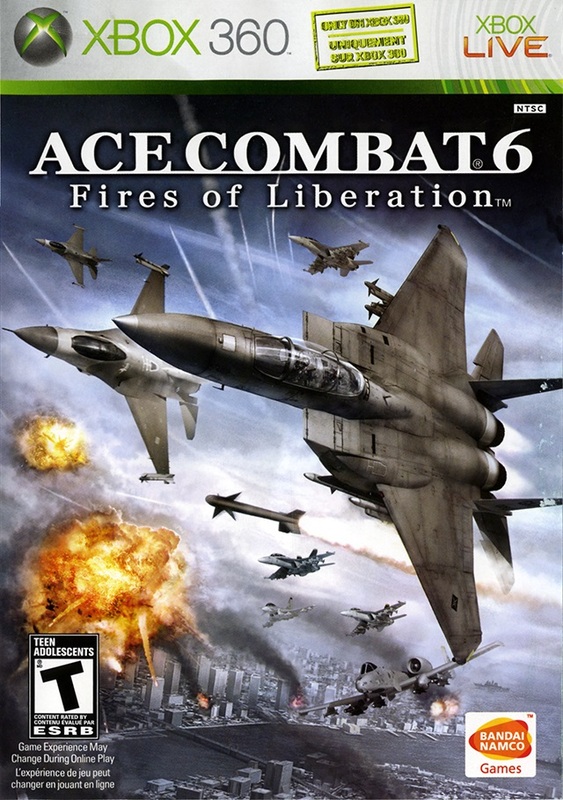 It introduced more story, missions and radio chatter to the series that would become a core part of what makes an Ace Combat game an Ace Combat game. AC3 also introduced multiple branching story paths that would never be seen like this in the franchise again. So if AC3 is that influential and important why the low rank? Simple, the North American release of the game has been stripped of nearly every aspect that made the original Japanese release so great. Gone are the branching story paths, anime cutscenes, radio chatter and coherent storytelling. Things get worse for the European version as even the great soundtrack gets removed. In the end we are left with is nothing but an empty shell of a once great game. Considered by many to be the worst entry in the franchise, for good reason, Ace Combat: Assault Horizon is a serious low point for the franchise. Once again forgoing the Strangereal setting of previous games for the real world AC:AH does little to make you care about what is happening to characters. Taking the Call of Duty approach to gameplay and story telling, as was common for games of the early 2010’s, we were treated to an experience that tried to be flashy and in your face but with very little substance. DFM took control away from you to engage in on rails dogfights. Door gunner segments felt like they were ripped straight out of one of the Call of Duty: Modern Warfare games. Even the tagline of “Make Metal Bleed” was just so dude-bro I wish I could forget it. About the only redeeming aspect of AC:AH came from the included Helicopter missions which are very fun to play. Seriously Bandai Namco if you made a pure Helicopter game just like the missions found in AC:AH I’d buy it in a heartbeat, It just has no place in the Ace Combat franchise. 2005’s release of Ace Combat: Advance was the first time the series was taken to a portable console. 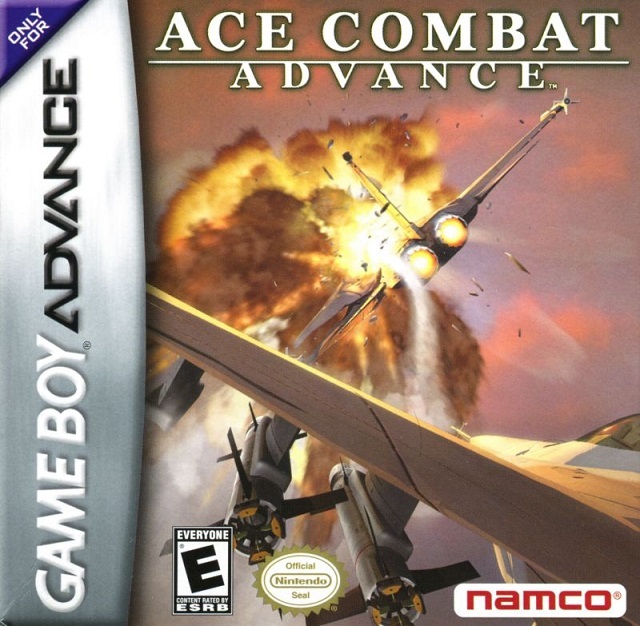 As the title suggests Ace Combat: Advance released on the Gameboy Advance and due to the limited hardware the basic game design is different than every other entry. instead of full 3D flight AC:A uses a top down perspective for the action. It is vastly different and not at all spectacular but it makes for a great time waster. Until you figure out how to properly play it might also be the hardest Ace Combat game there is. Once you get a grip on how everything works you can finish the whole thing in under 2 hours. Fun fact, this is the only game in the series that was never released in Japan. This is the second time Ace Combat has graced a Nintendo handheld with the release of Ace Combat: Assault Horizon Legacy. Unlike the console version of Ace Combat: Assault Horizon, Legacy does just what its title implies with a traditional take on Ace Combat. Besides the return of proper gameplay that was missing from AC:AH, Legacy also returns to the Strangereal setting as it is a full on remake of Ace Combat 2! The controls are very similar to those found on both the PSP versions but, a Circle Pad Pro or New Nintendo 3DS/2DS will provide the traditional control setup. There are new maneuvers introduced in this game but they can be turned off to offer a completely traditional experience if you would like. Overall this is one of the best ways to experience Ace Combat on the go! The original Ace Combat! When localized outside of Japan the series was named Air Combat. Despite being the oldest in the series and an early PlayStation game Air Combat doesn’t look to bad even today. sure there are hardly any ground textures or modeling but the game is still a blast to play.Many mission types were born with this first entry in the series including canyon flights and battles against powerful airborne super weapons. The only thing keeping Air Combat from ranking higher on this list is the digital only controls. Flight tends to be imprecise leading to some frustrating moments when trying to line up shots. If you get an opportunity, Definitely give this one a shot! The first HD entry in the Ace Combat franchise also saw the series leave Sony’s home consoles for the first time. Ace Combat 6 is still an absolutely beautiful game to look at today with many high quality plane models and textures. AC6 also features more targets and bigger combat zones than have ever been seen in the franchise. Sporting a lower number of missions overall, the length of each mission is much higher than that of a traditional Ace Combat game. Numerous missions feature separate operations you can assist in. By completing operations that squad will then become available to help you take down enemies in other areas. By far one of the coolest aspects of AC6 is taking over airports during some missions to then use to reload and repair your craft. Though be careful of what enemies might be in the surrounding area as you will be a sitting duck upon take-off! 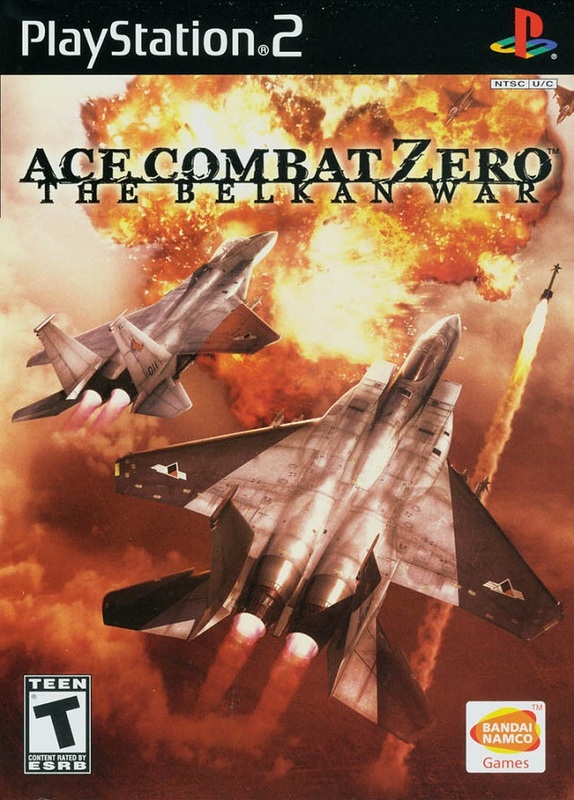 A prequel to Ace Combat 5, Ace Combat Zero tells the events of the Balkan War. While not as content heavy as Ace Combat 5, Ace Combat Zero features some pretty neat mechanics like the Ace Style Gauge. The Ace Style Gauge changes up how different things will play out during your campaign playthrough. If you make sure to destroy absolutely ever target you will hear radio chatter from the enemy about your cold blooded behavior. AC:0 also puts an emphasis on battles with rival Aces. Depending on your Ace Style Gauge the post mission interviews with these Aces will also change. Overall AC:0 has a lot of replayability and should be checked out! Also, that soundtrack! Ace Combat X: Skies of Deception is the first tradition Ace Combat game to make its way to a hand held. Though the controls are hard to get used to with the lack of L2 and R2 buttons gameplay is still top notch. The greatest think about ACX to me comes from how its mission structure is setup. Missions are grouped into one overall objective, like take back the capitol. But, there are also missions you play before tackling that main objective that change how the battle will play out. this leads to a high degree of variety in each playthrough with each mission being able to play out one of 3 ways. ACX is very reminiscent of Air Combat and is easily the best portable Ace Combat game to date! Take all of the awesome gameplay from Air Combat and make it better, that’s Ace Combat 2! Everything has recieved an upgrade in AC2 from properly modeled and textured terrain, better aircraft design to enemy A.I. improvements. Analog controls have also been implemented that can be taken advantage of with the Sony Dual Analog controller or DualShock controller. AC2 also features a secret ending depending on how you play the game so if you missed it go back and replay it! After 10 years of mediocre to awful Ace Combat games we have finally been treated to a sequel the franchise deserved and needed. Ace Combat 7 see the franchise return to the roots established from Ace Combat 4/5 with a brand new story and a return to Strangereal. AC7 also utilizes the Unreal Engine making this the first game in the series to not run on a proprietary engine developed specifically for the series. AC7 also features several throwbacks to prior entries in the franchise which was really exciting to see. Be sure to check out the full review here! If there is one game that can be credited with establishing the Ace Combat formula that would be Ace Combat 4! AC4 introduced the concept of strangereal for the first time and also made a unifying event that would tie together all the games, the Ulysses 1994XF04 incident. AC4 also introduced us to Mobius One who has become so popular he has gotten small Cameo campaign in both Ace Combat 5 and Ace Combat 7! Being the first Ace Combat game to release on the then new PlayStation 2 also saw massive upgrades over its 3 predecessors in all regards but especially in how the game looked and felt. AC4 is also the first time, at least for North America, we got to experience the story play out through between mission cutscenes and man are they good! Similarly to how Ace Combat 2 took everything good about Air Combat and made it better, Ace Combat 5 takes everything great about Ace Combat 4 and makes it better! Every aspect of the game has seen significant touch ups and improvements. The number of missions and planes has increased. The model detail and ground textures are better and cutscenes are now fully animated. AC5 also gets you to care more about the characters in the game than any other entry to date! New to AC5 was also the ability to give your squad-mates commands on how to behave during missions. This is the Ace Combat franchise at its best and most corny and I freaking love it! Be sure to check out my full thoughts on AC5 here!